The Dickson a single decked timber carrier was built at Haverton Hill shipyard. 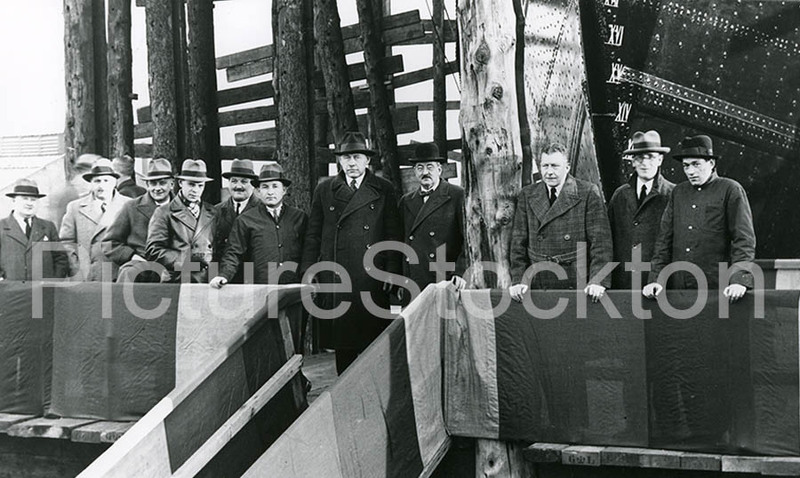 The keel was laid on 6th September 1935, people can be seen at the launch on 3rd March 1936. I was puzzled by the Cyrillic lettering on the ship’s stern. 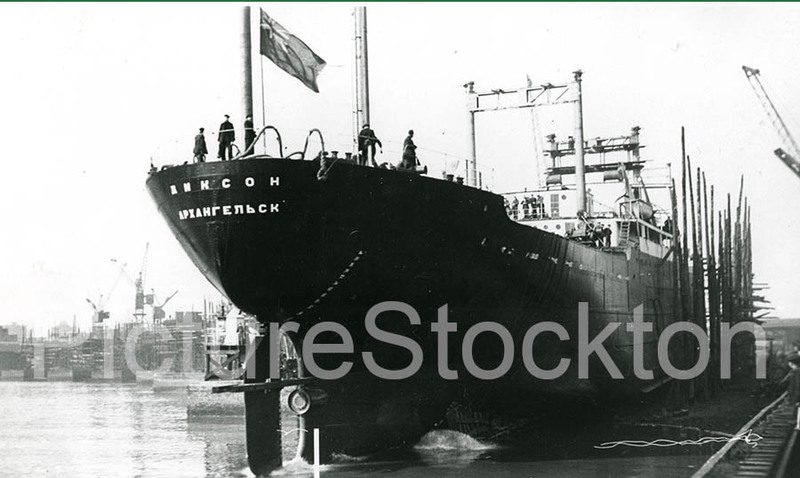 But according to the Lloyds Register she was commissioned by the USSR, and the port of registration, which appears below her name, is Archangel.